I’m not sure why this wasn’t the first thing I ever posted here; given the blog name it really should have been! If it isn’t already obvious, I love pesto. It’s just so delicious, so cheap and pretty good for you; a combination that isn’t always that easy to come across. It really is one of the easiest things to make, so if you’ve always been a shop bought jar kind of person, give this a go instead and I promise you will never look back. The beauty of making anything yourself is that you can make it exactly how you like it. You can vary the quantities of everything, add in something a little bit different if you fancy it, and no two batches will ever taste exactly the same. To make life easier use a blender if you have one, but if not then a pestle and mortar along with lots of arm strength will do the job. 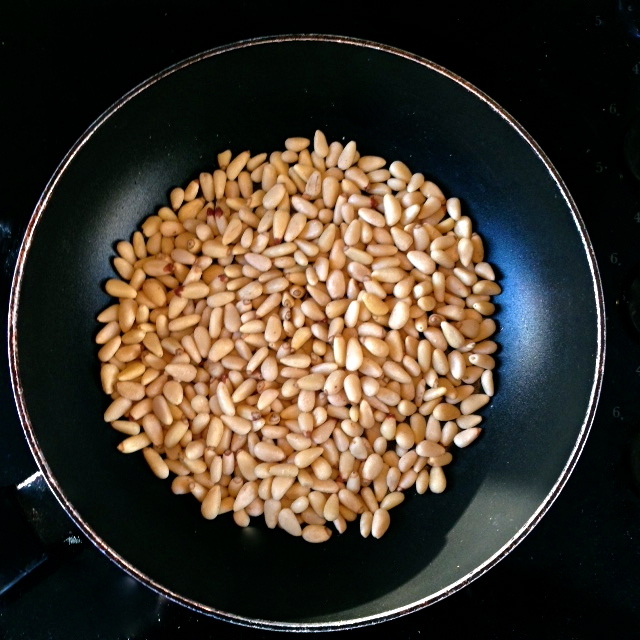 Toast your pine nuts in a little olive oil then add these to your blender along with the basil leaves, garlic, parmesan, lemon zest and lemon juice. Add a few glugs of olive oil and season with salt and pepper. 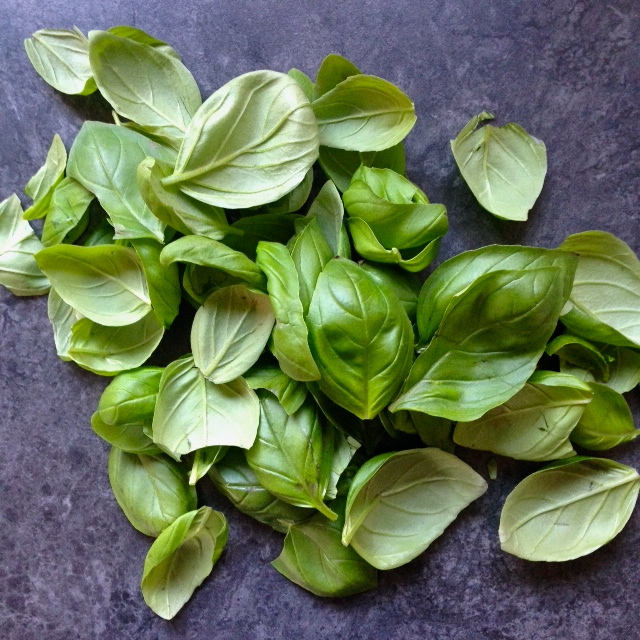 Blitz (or bash) until you are happy with the consistency, adding more olive oil or basil leaves as needed. 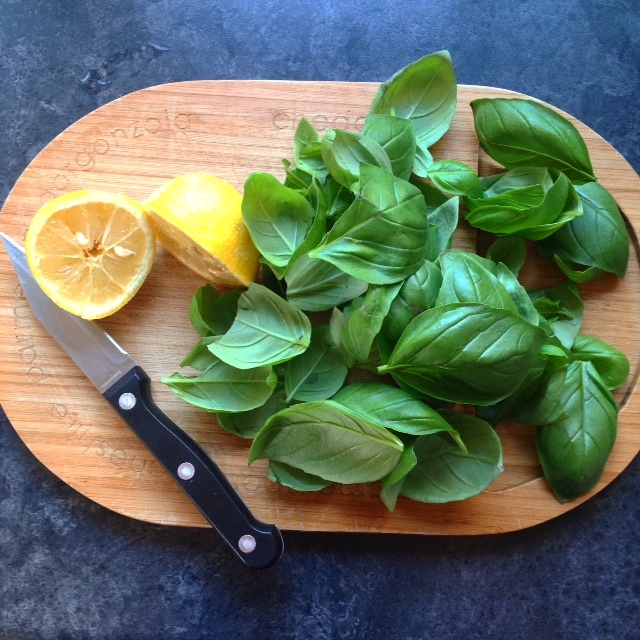 I like pesto to be quite chunky, but if you like it smooth then just keep blending. If you like things spicy try adding a little bit of fresh chilli, or for a richer red pesto add sun dried tomatoes, roasted peppers and extra garlic. It will keep in the fridge for around a week and can be used to make the simplest weekday meals a little bit more exciting. 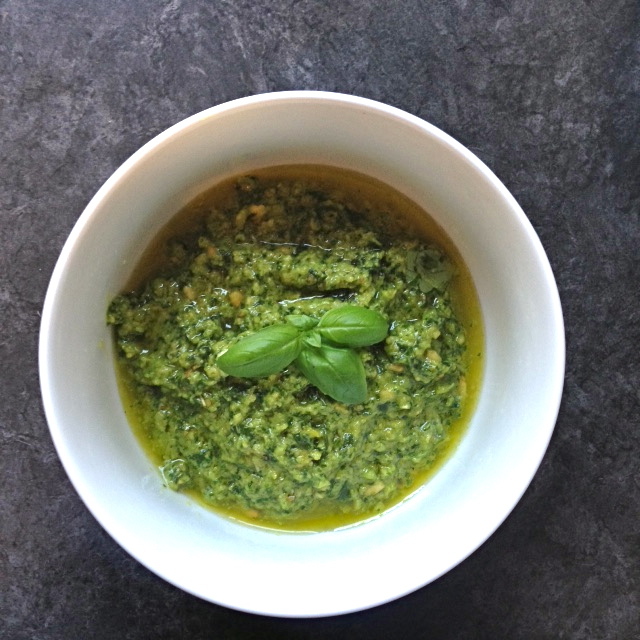 I stirred this pesto through some fresh pasta and added shredded roast chicken for a really quick supper, but it’s also great with fish, drizzled over pizza, or as a simple way to dress a tomato and mozzarella salad.